Gone are the days of losing baby mittens or having to use socks to keep baby protected from germs and scratches. Goumimitts signature two part closure system keeps scratches and germs at bay and adjusts to fit. Each mitt is reversible, featuring a stylishly modern pattern on one side, black and white on the other, promoting baby's brain and eye development. Each goumimitt is gentle on the earth. Knit of a bamboo/organic cotton blend that's breathable, antimicrobial and sustainably harvested. 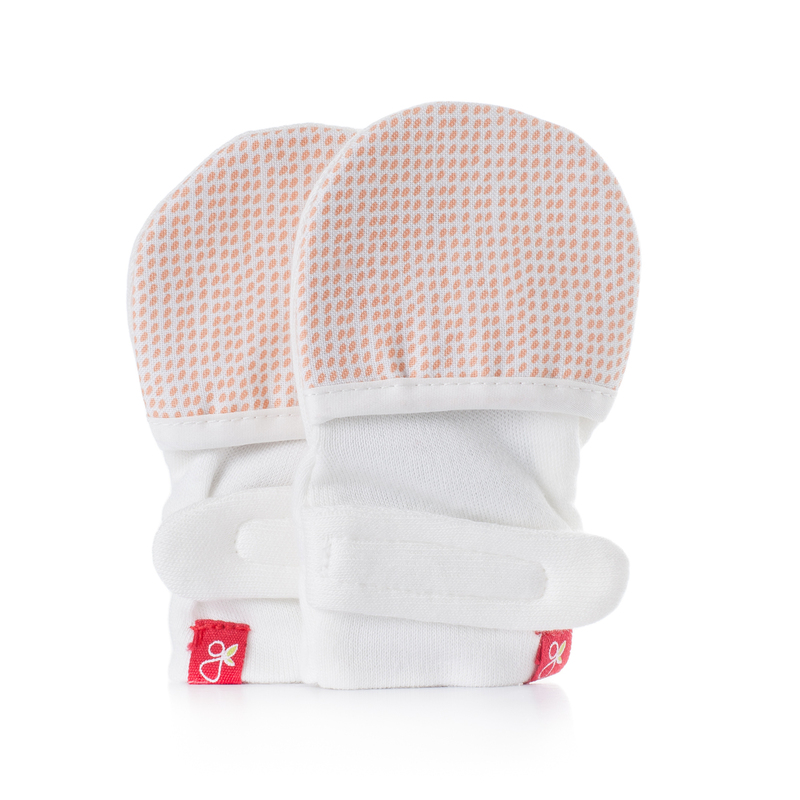 70% bamboo/30% organic cotton blend for body of mitten; 100% cotton for the prints. By Goumi Kids.